Thu Dec 20, 18 9:37 am SNOWKITE!!! 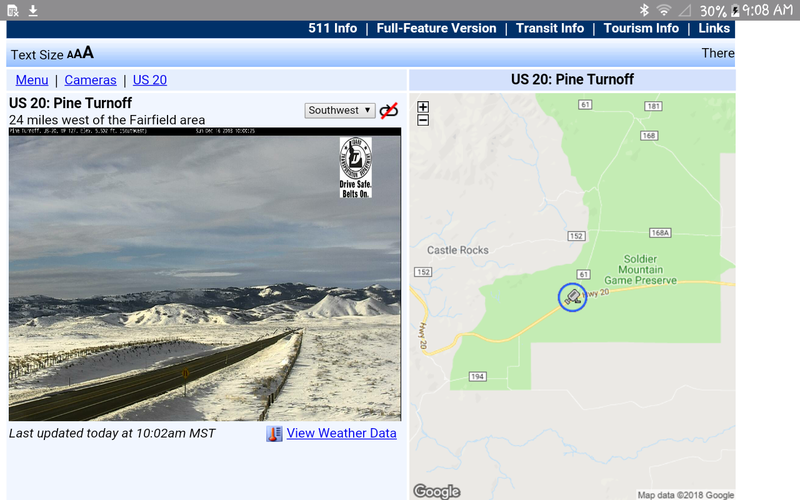 I will be driving passed Camas tomorrow after dark, headed for Jackson Hole and Big Sky. If the snow is in good condition we will kite if my cracked collarbone can take it. 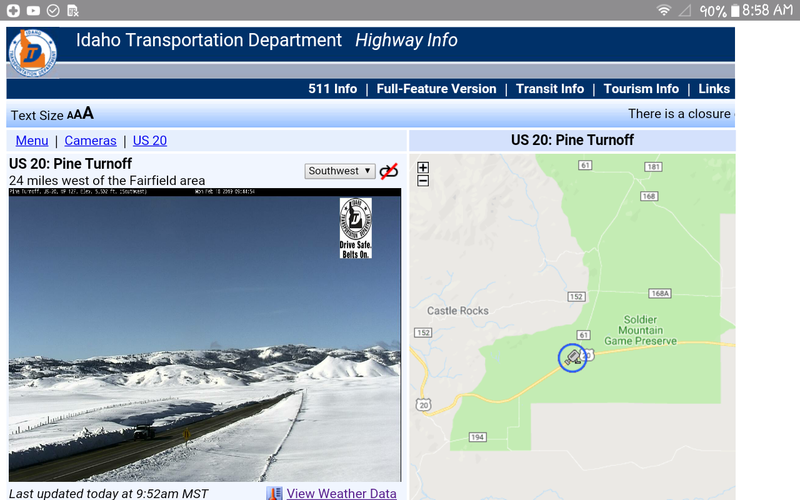 Keep me posted on snow kiting trips this winter. Montana Kite Rodeo? I've been the last 2 years. Good times, good people, and hot springs. Its ben goooood looking blowing all week! I'm chained to Hood these days and missing the Camas. Today looks epic for Last Resort. Sol, your a madman! Huck it! Tue Jan 29, 19 10:05 am wind speed and size of kite to snowkite with. . . I've only gone snowkiting a handful of times (all in Oregon, which isn't really that great or allowed). Portland isn't the easiest place to snowkite from and I have/had a seasons pass for 20 years and so easier just to get my snow turns on up at the mountain, and I don't have a snowbike or snowmobile (nor do I want one). I suspect that with the strong east winds right now Mt. St. Helens probably is good right now (Plains of Abraham)? Probably fairly crunchy/icy though. I've planned numerous times to go out to Camas only to have to cancel due to poor conditions, injury, or something came up last minute. SO, for the more experienced snowkiter, what sized kite does one need to ride 14-20 mph winds? I'm sure it somewhat depends upon the surface of the snow one is riding one (and depth if riding in powder). I'm guessing 12 to 17m kite. Same goes for the type of terrain one is riding on (flats vs slope). And for you snowkiters out there. Is there a favorite speed of wind that you prefer to ride in? For kiting, I tend to prefer 20-30 mph out on the ocean which translates to 9- 10m for me with my surfboard. Strong wind and that strength of wind tends to have less variances and that strength doesn't mess up the waves too bad. Tue Jan 29, 19 11:47 am Re: wind speed and size of kite to snowkite with. . .
Generally, you'll need a much smaller kite on the snow than in the water given the same wind conditions - regardless of depth snow still provides a lot less resistance than soft water. 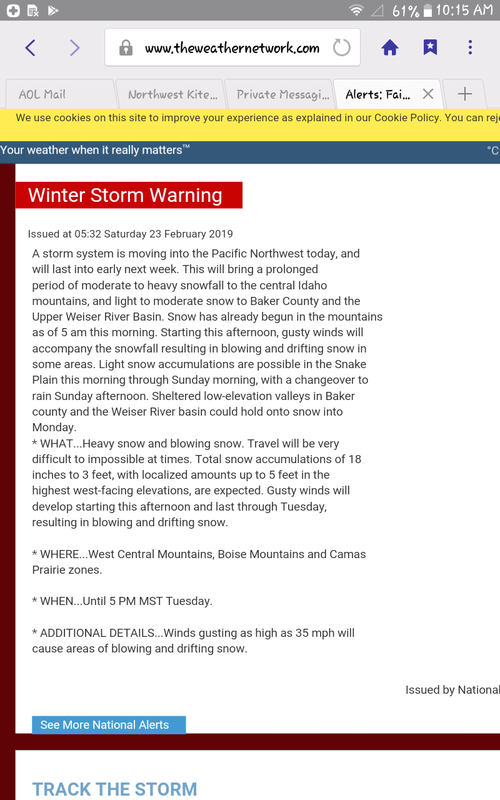 And then size up or down depending on snow depth and quality (an inch of PNW concrete provides more resistance than a couple feet of Utah freshies). My preference (185 lb, confident skier) is around 20 kts, which on a fast surface (no powder, but not pure ice) I'd ride with a 7-9m foil kite or 9-12m LEI. One size up if it's powder, one size down if its icy. Winter wind is often punchier, so obviously don't forget to size for the gusts. I haven't done any hill climbing so not sure how to adjust kite size for that, but I think if I were riding mixed terrain I'd size for the flats and plan on looping like crazy to ride uphill. It all depends on 2 things well maybe 3.
depth of snow and type. After all these years I can say that anything below a 9m for snowkiting usually isnt much fun nor worth the added risk. Same goes on the low end anything above a 14m isnt worth my time this is with LEI's very few use foilkites. Since starting hydrofoiling I've noticed a significant improvement on efficiencies on my kiting. I'm now opting more for a bit smaller kite/onestruts and am able to work a 9m in typical 12m and above conditions. I dont send it super big anymore nor have i ever considered gliding. Using the hill to catch a bit of air still can get you up there on smaller kites, but rather I enjoy the freeride element and powder stash hunting along with long exploration sessions. Snow does take less power on flats and ice snow covered lakes. Higher terrain with good pow is same as water or larger due to resistance, gravity, and most important altitude. Air density above 5k-7k and higher is extremely less then below 3k its not uncommon to ride a 12m up to 30-35mph winds at higher altitudes. I think last year at the rodeo near the end of one of the days there were some gusts up to 50 and was sketch and we were coming in to land but we were on 9m's it was manageable but also in the hands of a beginner could turn deadly quick. Snow and water overlap pretty well and isn't rocket science there is nothing special about snowkiting other then its cold and alot more work but certainly satisfying in the right conditions. Well they said it all hope to see some peeps out there mid feb if weather , snow comes more!! Thinkin about going after 23d or so,, any bites looking gooooood this year!! !